Our next instalment of our Film Club is on Wednesday 17th February and will particular interest all you Bowie fans out there! 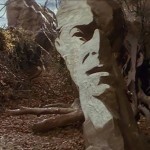 We are showing the ‘Making of’ Labyrinth, and a bunch of Bowie music videos in our 2nd special screening. For more info, check out our events page on Facebook. See you from 7.30pm @ Fargo Village!